Kasia handles complex, multilingual projects predominantly for clients in retail, manufacturing, marketing and media, but also the finance and life sciences sectors. Kasia is experienced in customising processes and project workflows to fit specific client requirements, localising training contents for leading, global retail brands. This involved handling complex designs, art work formats and liaising with multiple stakeholders at the same time in order to produce “ready to print” materials. She has also recently developed bespoke solutions such as certified extraction for auditing and reporting purposes, quality assessment of multilingual copy, and consultancy in recruitment of multilingual applicants. Before Today Translations, her background is in customer care and management of multilingual teams for clients such as John Lewis, Ralph Lauren and Mothercare – and was announced Manager of the Year for Ralph Lauren. 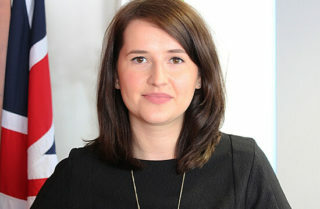 Kasia holds a Master’s degree in Italian Language and Culture from The University of Glasgow and has also studied at Bologna University during the course of her degree.